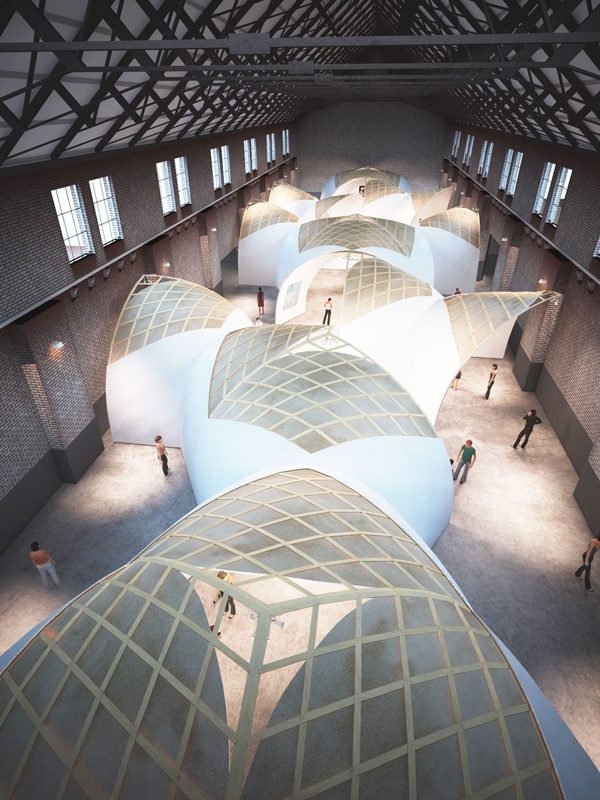 Shortlisted to the final phase of the Unfair Architect Awards, in late October 2017 GG-loop submitted our proposal for the 2018 scenography of the artfair Unfair. 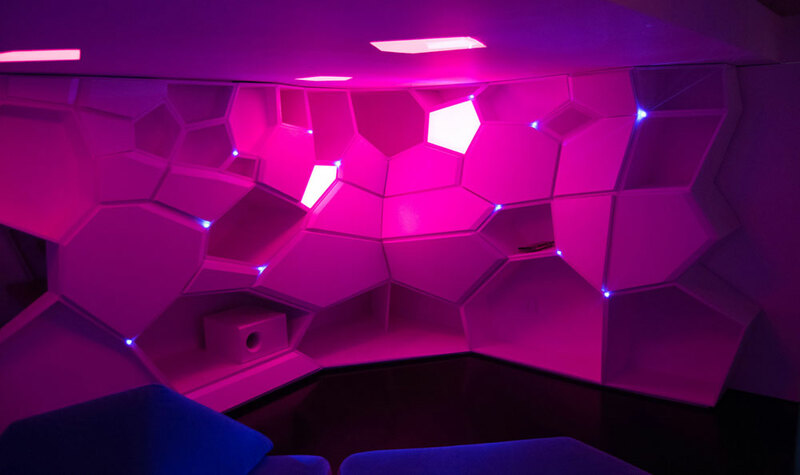 Together with Fibreacoustics Ltd, we explored new ways of displaying art, with a particular progressive focus on sustainability, immersive experiencing and smart-fabrication. One of the most iconic refurbishment projects of 2016, gave GG-loop global media exposure, several awards and recognition as talented promise in the architecture world. The project is part of the ever-growing whole The Seed of Time. Some called it spaceship, some cocoon, some others alien world. 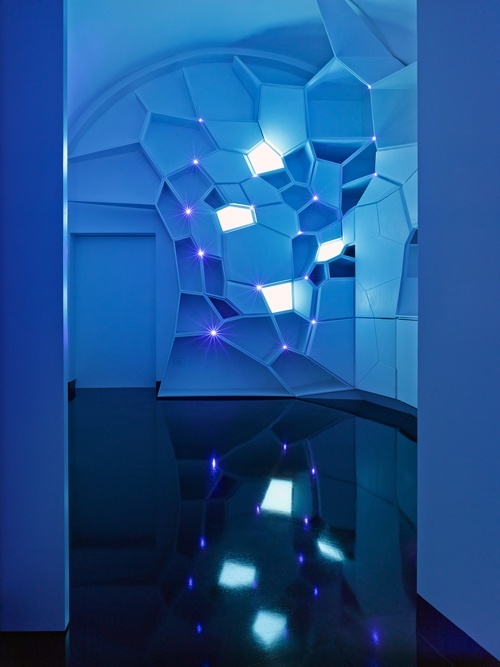 We conceived this space as a living organism, as an extension of the human body. It was born as Giacomo’s italian residence and it is currently the interior of the house-museum The Seed of Time in Altamura. 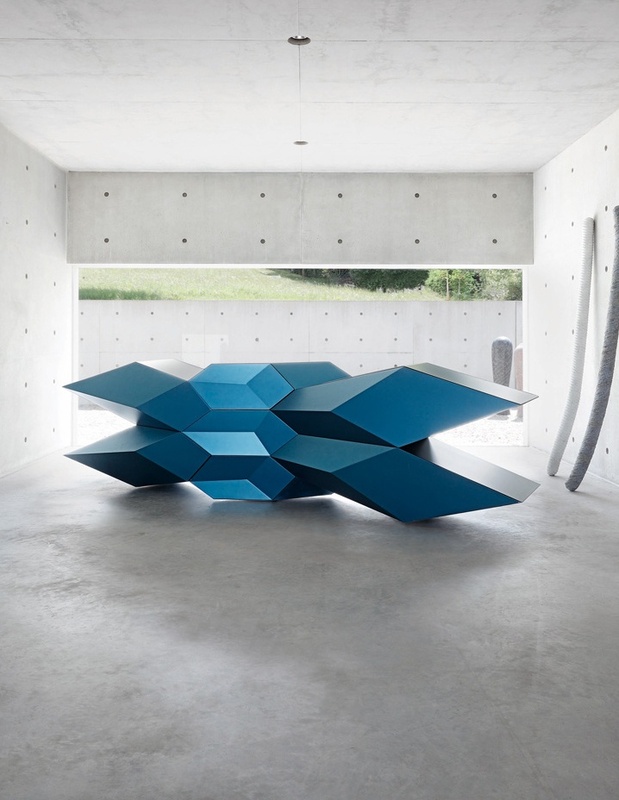 Zephyrus is a cabinet, the first piece of the furniture series born during the development of the interior design the Infection. It is part of the Roche Bobois autumn-winter collection and it was showcased already as centrepiece at the Roche Bobois gallery in Monaco. This ongoing research focuses on the analyse of the matter on a microscale and its growth process affected by diverse environmental stimuli. Biomimicry principles are applied to conceive a domestic space as a living organism to be inhabited and to coexist with. Music is a constant source of inspiration at GG-loop. But what if Music is the objective of the design process? 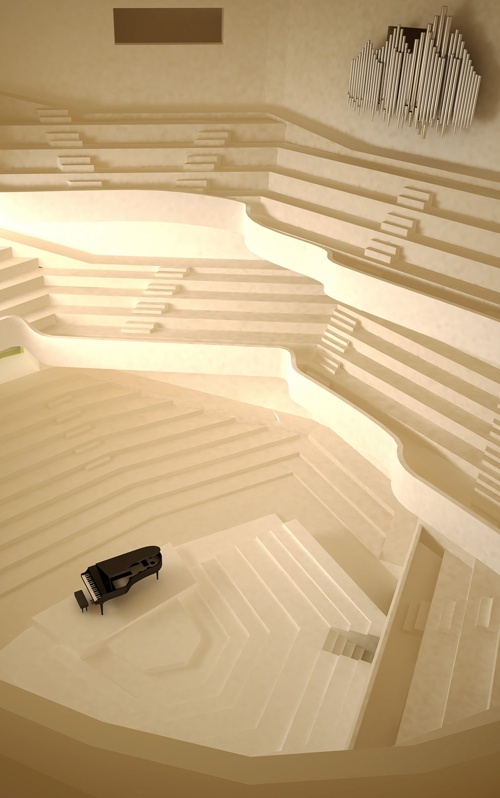 The Womb is a complete enveloping musical experience, with a looping 1800 seats concert hall, a music school and 10 hectares park dedicated to just Music. 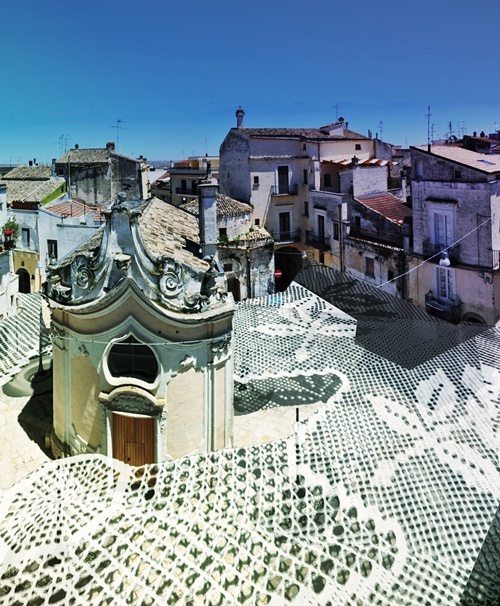 In a small square in the southern italian town of Altamura, we proposed in collaboration with the german artist Annika Kappner a large shading system based on the patterns of the local embroidery, held by sitting-lighting platforms. 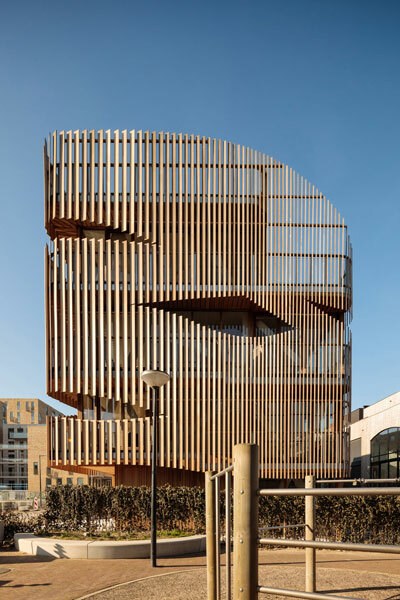 GG-loop’s first designed-and-developed residential project in Amsterdam brings a new standard for living spaces based on sustainability principles, energy efficiency, high-quality interior spaces and the use of natural materials. For more on this groundbreaking project, click here! 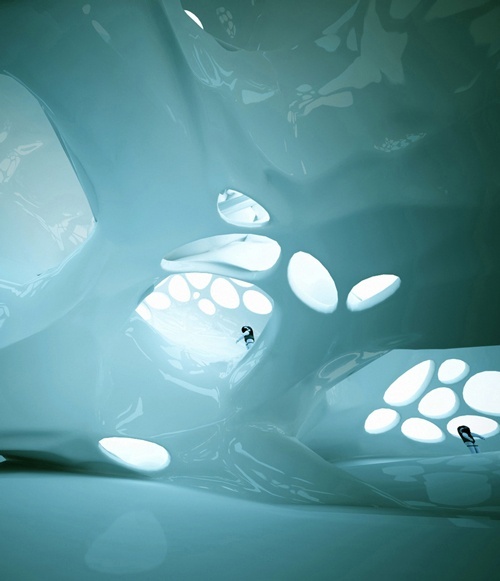 Vibrio is conceived as a sculpture with high comfort attributes. Extremely flexible, it can adapt to any space thanks to its modularity based on the geometry of mandalas. Made in Italy, it can travel the world and reach your city within 8 weeks! Check our store for more info. 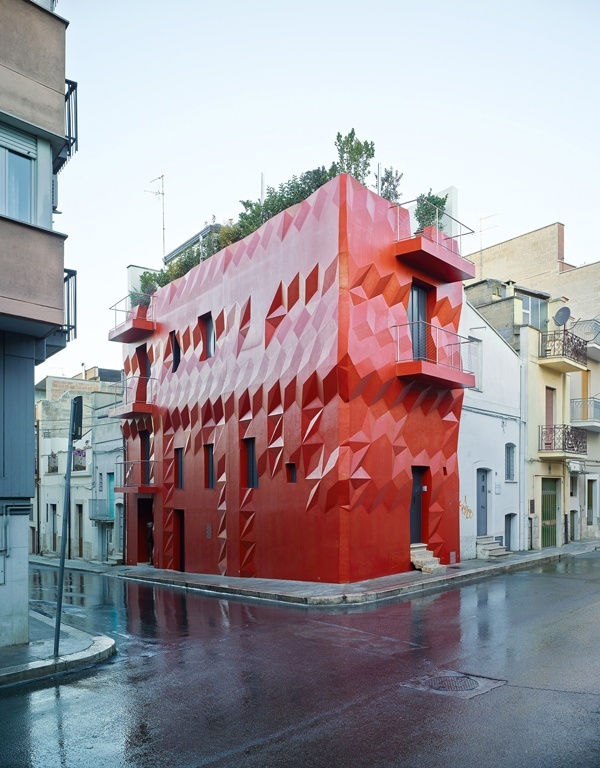 When Giacomo decided to dedicate his Italian residence to the arts, he invited the partners from the artist collective Elephants&Volcanoes, to explore the possibilities of an art intervention where the visitors’ senses could be fully involved in the experience. The successful event set the beginning of the House-museum The Seed of Time. We were asked to design the interior of a smartshop in the city center of our beautiful city Amsterdam. The psycho-active nature of the products from the shop inspired us to conceive the space as the interior of the brain. 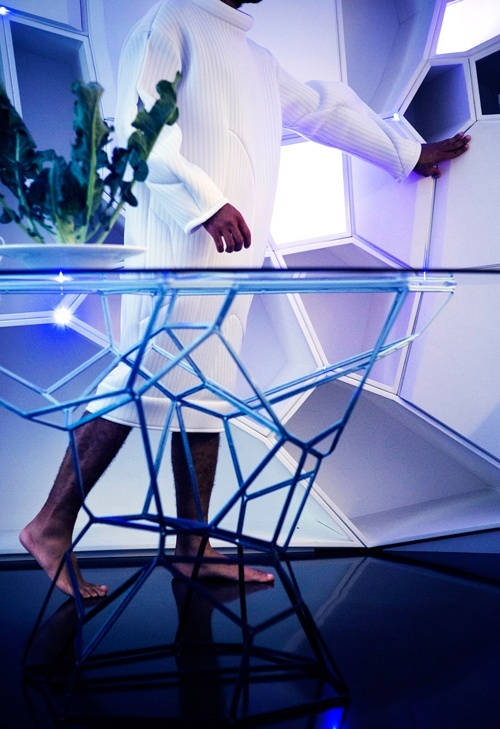 Based on the Voronoi system, this table uses the properties of its geometry to hold with a very light steel wired structure a large glass top. More versions will be soon available. Our first table was also showcased during the Milan Design Week 2016. 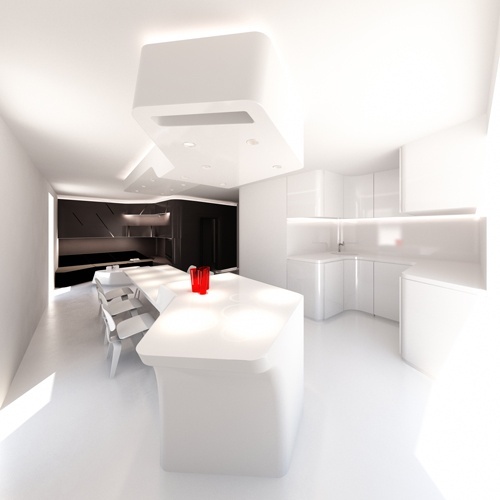 A house for us is a continuous sequence of spaces, experiences and stimuli. Light and shadows, bright and dark colors follow to increase the perception of this dynamic order. The typology of aircraft and navy interior naturally follows our scheme of continuity, flexibility and fluidity of spaces. 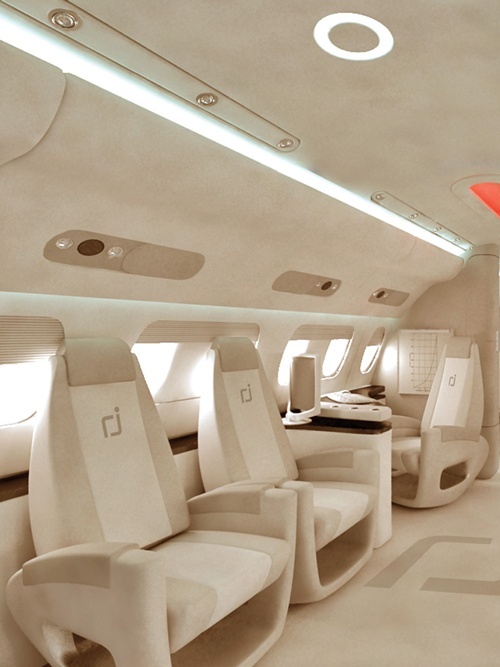 The different spaces merge without interruption; high quality soft materials in a warm palette of colors give the highest comfort to the passengers.